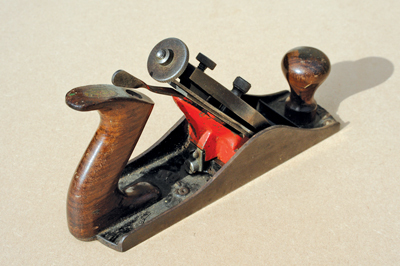 The American inventor and plane maker Leonard Bailey spent several years perfecting the design of the 'Bailey' bench plane made by Stanley and used since by millions. 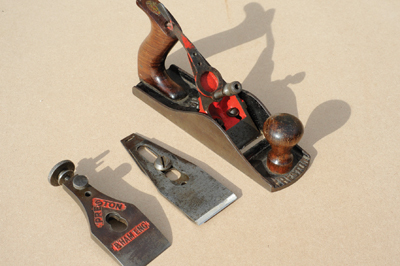 Stanley kept the design well covered by world patents until 1930 when the demand for hand planes reduced, allowing firms like Preston and Marples to make the first copies. Preston, based in Birmingham, away from the competing Sheffield tool manufacturers, were famous for quality tools with attractive decoration. Established in 1827 and run by the Preston family until 1932, they sold up to Record Tool Company due to the depression and competition from American imports. This plane was probably Preston's answer to avoiding the Stanley patents in around 1925. I can't sfind any written evidence or catalogues from this period so we have only the planes to testify for themselves. The first thing to say is how complicated it is compared to the Bailey design of about 70 years previous. There were not only more parts, they also required more careful machining, so were more expensive to produce and perhaps added to Preston's financial woes. 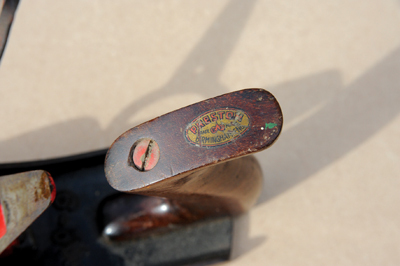 The castings and finish are up to Stanley's quality with fine rosewood handles; the rear handle is held exactly as Stanley's and the front knob uses a secret stud screwed into a boss on the casting. The cap iron is a substantial casting with a polished finish and proudly says 'PRESTON B'HAM ENG. ', plus a clamping screw and cutter adjusting nut. With the back iron exposed you can see how different it is; longer than the actual blade to engage with the adjusting nut on the cap iron, shaped on the edges with a grinding template for the blade. This detail was stamped on the Record back iron after they took over production. The blade is a bit thicker than Stanley's, clamped to the back iron with a well made screw that engages with the hole in the lateral adjustment lever. The lever pivots on a central bolt which holds down the cap iron and is twisted at the top for grip. The frog is cast iron and adjusts much the same way as the Stanley by loosening the two holding down screws and turning the screw on the back. 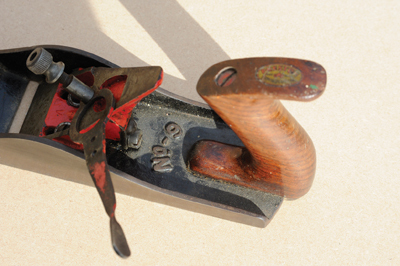 The cast iron sole has 'PRESTON' at the front and 'No.9' behind the frog, likely chosen as the plane is 230mm (9in) long. Setting up is not as easy as the Stanley and despite its complexity the performance falls short compared to planes I am used to using. On hardwood the blade tends to swing over to one side, giving a tapered shaving - with a lot of use you could overcome these problems. It was a clever attempt to overcome patent problems, but the number of surviving examples suggests they did not sell well.